The Biannual Barnes Blog – Justyn Barnes Media Ltd. When I finally got around to building my website a year ago, I asked a few friends and work colleagues to take a look before taking it live. I made a number of tweaks based on their sage advice, but willfully ignored my pal Matt’s recommendation. ‘Get rid of the blog – you’ll never keep it up’, he said. Leaving behind the Benny Hill double-entendres, I managed to bash out (okay, just one more…) a few blogs in the first half of the 2014 whenever time allowed between jobs. But here we are, eight months since my last post, so I fear cynical old Matt has been proved right. The first rule of websites – or at least one of the top seven rules – is that if you are going to include a blog section, you better blog… and blog regularly, Goddammit. I know this, but hey, I’m a maverick, I’m a renegade. Or something. In mitigation for my abject non-bloggery, I can only offer the excuse that I’ve been busy. Really-really-really, non-stop, deadline-upon-deadline, almost-too-busy busy. Which I guess is the point of having a website like this in the first place. So that’s all good. Anyway, I best get to the point of what they – whoever ‘they’ may be – might soon be calling ‘The Biannual Barnes Blog’ (or, perhaps, ‘The Semiannual Barnes Blog’?). What have I been doing to distract me from crucial duties in the blogosphere? On the copywriting front, it was another mammoth year on the LEGO front as I wrote sales copy for around 200 products. Translated into over 30 languages, the texts for the first-half-of-2015 products can now be found on e-tailing sites around the world, from Amazon to Toys R Us. For instance, it’s a big year for LEGO® Ninjago™ fans, with a huge range of new toys including the Anacondrai Crusher, Boulder Blaster and the awesome Ninja DB X. In addition, I became a regular writer of technical articles for Grundfos. I’ve been tasked with explaining the intricacies of everything from S-tube impellers and intelligent temperature control in cooling systems. Starting from a base level of zero knowledge, it’s been a steep learning curve, but with the patient assistance of Grundfos experts, I’m now a font of information on the high-tech world of wastewater management, oh yes. Then there was the rare pleasure of being commissioned to write a lengthy (2,500-words) feature – for Sportcal‘s print/digital magazine. My article examined on the changing relationship between the sports business and electronic gaming industry. It involved loads of research and interviews with people around the world and brought back misty-eyed memories of the days when magazines would regularly commission – and pay a fair fee for – research-heavy, time-consuming articles. Very satisfying. Thanks to Martin Cloake for the opportunity. All of the above had to be fitted in among a glut of book projects for Headline Publishing. First up, a new departure for me: writing a book with a fictional character. Working under the direction of Mr Carson, esteemed butler of Downton Abbey, I helped to produce Downton Abbey: Rules For Household Staff. Late spring and early summer was largely spent revisiting old Downton series or in the British Library reading room, delving into contemporary books outlining the key roles of footmen, ladies maids, kitchen maids and other key staff. It proved to be a fascinating and very challenging job, and the many positive customer reviews have been very gratifying. 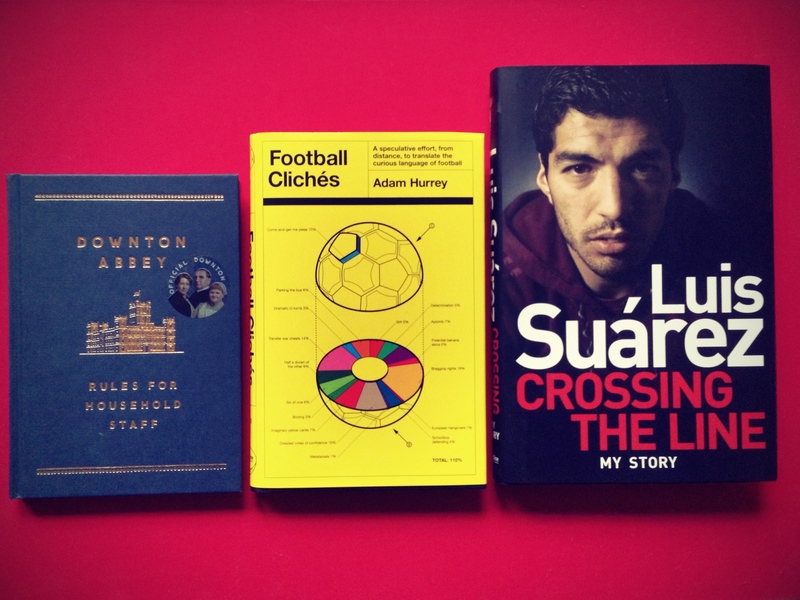 As the Downton book was being put to bed, I began editing Luis Suárez’s autobiography. I have to admit I had reservations about working on this book. I was not a Suárez fan, my opinion of him shaped by the media-driven caricature of him as a biting, diving cheat with no redeeming qualities bar his exceptional ability as a footballer. But I am so glad I took the job on. Ghostwriters Sid Lowe and Pete Jensen and Suárez himself did a fantastic job. Whether you accept his side of the story or not, Suárez deals with every controversial issue head on. There is also a delightful love story – with his childhood sweetheart and wife Sofi – running through the book. And away from the pitch, where his almost uncontrollable desire to win sometimes overwhelms his better judgement, he comes across as a very honourable, family man. I’d recommend the book to anyone interested in gaining a more rounded view of this polarising figure in world football. 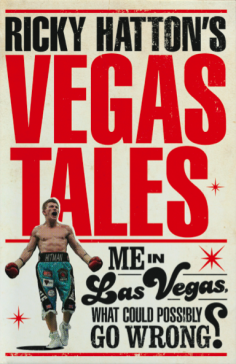 With those three books off to print and ready for the Christmas market, so began my biggest job of the year – collaborating with Ricky Hatton, arguably Britain’s most popular-ever boxer and a national treasure, on his new book: Ricky Hatton’s Vegas Tales. The book, due for publication in May, focuses on all the fun and excitement surrounding Ricky’s five fights in Las Vegas between 2007-2009, including his bout with Floyd Mayweather Jr. which inspired an unprecedented 35,000 Brits to cross the Atlantic to support him. I’d never met Rick before we started this project, but it’s been great to getting to know him and the rest of Team Hatton. I spent many happy hours watching him train his pro fighters at his gym and listening as he reeled off surreal anecdotes from those Vegas years. The book also features contributions from friends, journalists and people who worked with him back then. Look out for a Foreword by the legendary Oscar De La Hoya and the hilarious reminiscences of Noel Gallagher, who along with brother Liam, carried Ricky’s belts into the ring for one of his Vegas fights.